"Unvarnished. Funny. Leaving no stone unturned."
. . . So say the publishers about this book I've written. What I say is that this is the story of my life, told as clear as a Texas sky and in the same rhythm that I lived it. It's a story of restlessness and the purity of the moment and living right. Of my childhood in Abbott, Texas, to the Pacific Northwest, from Nashville to Hawaii and all the way back again. Of selling vacuum cleaners and encyclopedias while hosting radio shows and writing song after song, hoping to strike gold. It's a story of true love, wild times, best friends, and barrooms, with a musical sound track ripping right through it. My life gets lived on the road, at home, and on the road again, tried and true, and I've written it all down from my heart to yours. I enjoyed reading about Willie and the beginnings of his career in following his music. I enjoyed the way he wrote about his life and the true feelings he had and the struggles he had but he continued to be positive and look forward in his life with no regrets. It was in his own words a true to his character. I have enjoyed his music for years and enjoyed reading about his life throughout this book. He shows love towards his family and is not afraid to state his mistakes or hide them. People love Willie because he is genuine in his heart. Way to go Willie! you have many friends and even more fans that love you! This was an interesting read . Must have been a heck of a life for his family. Absolutely a great read. Couldn't put it down. Easy to follow shoots straight from the hip. Would definately recommend to family and friends. As Willy would say,'Just read it'. 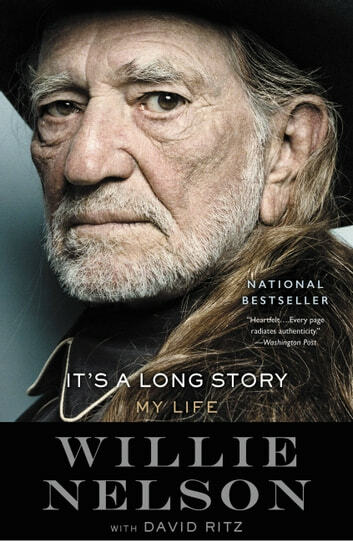 Willy Nelson is a tower of talent and personality.He's taken the time to reflect on his life and his privilege. It was a pleasure to enjoy his deceptively simple style, wisdom and gratitude. I gave this the best possible rating for his generous glimpse into a life pushed forward by dogged hope and flexibility.